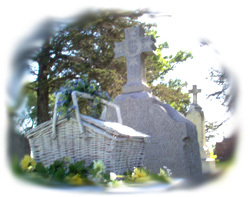 White Dove Connection specializes in Funeral/Memorial white dove releases that have been a symbol of purity and peace since the beginning of time. The release of WHITE BIRD(S) at a Memorial Service is one of the greatest gifts that can be given to a loved one. By sending a WHITE BIRD RELEASE which will live on in the memories of everyone attending, a heart felt and symbolic conclusion to your loved one's memorial or funeral ceremony will be forever treasured. 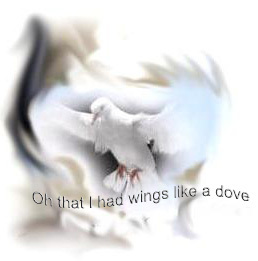 The release of a single white dove at a funeral or memorial service signifies the path of the pure spirit or soul winging its way up to heaven. Our birds are actually snow-white homing pigeons. We have fifteen plus years experience handling/training these special birds, and are known throughout the country for having some of the best white homing pigeon stock. We are professionals and take great pride in our release business and our birds. Man has flown these amazing birds for centuries, both for work and for sport. More recently, these courageous birds delivered messages from the front lines in WWI and WWII. They are even still being used by businesses today to carry film or medical samples across town in some parts of the U.S. Homing Pigeons are enjoyed today largely as a hobby of pigeon racing in the United States, as well as other countries all over the world. There are approximately 12,000 plus registered members of the American Racing Pigeon Union in the U.S.A alone. To NOT release birds AT NIGHT. A 50% deposit is due at the time of booking. The balance is due 1 month prior to the event. Should we cancel the release due to threatening weather, a 100% refund will be given.